Please send all nominations to the Chair of the Awards and Recognition Committee, Dr. Chris Randle of the Department of Biological Sciences. The deadline for nominations is Friday February 15, 2019. Dr. Randle will then solicit full applications from all nominees for each of the awards. The complete applications and materials will need to be submitted by April 1, 2019. The Awards and Recognition Committee will select a winner from each category and the Dean will notify all applicants of the decision by the end of May 2019. Winners will receive either $500 in the departmental account for use in research or travel (for TT/Tenured awards) or a $500 Barnes and Noble Gift Card (for adjunct and student awards). Winners will also receive a small medallion and their name will placed on the college awards plaque in the LDB atrium. Award winners will be announced at the Fall 2019 college meeting. Information on each award can be found at the correlating link. 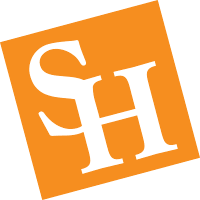 The award descriptions and criteria are given at https://www.shsu.edu/academics/science-and-engineering-technology/awards.html. This page also contains the Awards & Recognition Committee Policies & Procedures.